Honorius, his pearl diademed and draped bust right. crowned by victory, who is holding palm-branch in left hand. 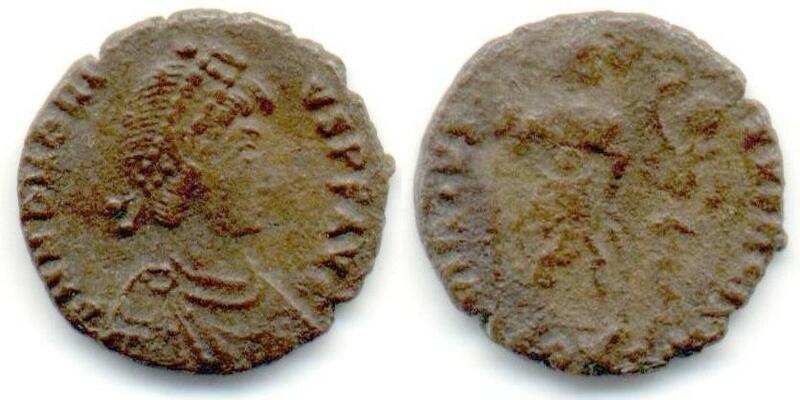 Minted at the 1st officina in Constantinopolis (Istanbul, Turkey) between 395 and 401 A.D.